A new report published by a national non-profit finds that Illinois prisons are holding about 17,000 more people than they were designed to house. The group behind the paper is called FWD.us, a non-profit that advocates for criminal justice and immigration reforms. The non-profit describes itself as bipartisan and was founded as well as funded by a group of tech entrepreneurs, including Facebook CEO Mark Zuckerberg and Bill Gates. Nearly 2,300 women are now serving time in Illinois, the Chicago Tribune reported. Reform advocates argue that the corrections system has largely ignored the needs of female inmates, many of whom suffered years of trauma, abuse or poverty before winding up behind bars. People under 21 who are convicted of a crime could serve time in a juvenile facility instead of an adult jail. State lawmakers are considering a measure that would raise the juvenile justice system's age limit from 18. It would allow a judge to decide if adult prison is warranted on a case-by-case basis. Supporters say they want the law changed so that the punishment matches the crime and young people can have another chance to turn their life around. Advocates say the treatment of Illinois prisoners with mental illness is so bad that the prison system is in a “state of emergency.” They’re asking a federal judge to intervene. More than a year ago, the Illinois Department of Corrections agreed that it needed to improve its treatment of prisoners with mental illness. It settled a decade-old court case, but lawyers for the prisoners say the state isn’t improving quickly enough. A new law will allow people leaving Illinois prisons to get a copy of their birth certificate for free. The measure is meant to make it easier for former prisoners to get a state ID, which is necessary to apply for jobs and housing. Former inmate David Ikonomopoulos says his driver’s license never made it from the police department that arrested him to the state prison where he served his sentence. The Illinois Senate passed legislation that would block a plan to privatize more than 120 nursing jobs in state prisons. Governor Bruce Rauner says his plan would save 8 million dollars per year. Private companies, in his view, can do the same work for cheaper. However, Democrats say that’s because private companies don’t pay their workers well. Four Republican senators, including Sam McCann from Plainview, agreed. More than 100 nurses at Illinois prisons have received layoff notices telling them their jobs are being privatized. The Associated Press obtained a letter Gov. Bruce Rauner's administration sent to Alice Johnson, executive director for the Illinois Nurses Association. It says the state will hire contract nurses and that the unionized nurses will be laid off June 15. Johnson told the AP the layoffs are an attempt to ``bully and intimidate'' the nurses in retaliation for rejecting a contract agreement last year. Partisan gridlock has caused Illinois to run without a full budget for more than a year-and-a-half. But there's one area Democrats and Republicans are working together. It's one of the rare bright spots in Springfield: Members of both parties have been coming together to improve the criminal justice system. "I think that's right. In fact, in the bill that you just called me about -- there was very strong bipartisan support." Representative Barbara Flynn Currie is majority leader in the Illinois House. The "bill" she referred to is now a law. Any day now, Governor Bruce Rauner's criminal justice reform commission is expected to release its final set of recommendations. It's trying to figure out how to safely reduce Illinois' prison population by 25 percent over the next decade. The commission came out with a relatively easy set of recommendations last year. This round of ideas could be more politically difficult. For example: reducing so-called drug-free zones around schools, parks and churches from a thousand feet to 500 feet. The Illinois Department of Corrections says the state’s prison population dropped by 9 percent this past year. That’s a good start toward Governor Bruce Rauner’s goal of a 25 percent reduction by 2025. But Jennifer Vollen-Katz, with prison watchdog the John Howard Association, says the hard part is still to come. A new survey argues criminals should get rehabilitation rather than punishment; the recommendation comes straight from crime victims themselves. Most of the Illinois Department of Corrections workers have completed mental-illness training as part of a settlement over how prisons treat inmates with mental health disorders. State Prison Director John Baldwin says the training will make working in prison safer. "Seventy-eight percent of all assaults on staff across the United States are committed by an offender with an identified behavioral health issue," he said. The Illinois Supreme Court is committing to a redesign of pretrial justice procedures, which is the system in place to deal with individuals from the time they're arrested, until their case is resolved. The state is working with the national Pretrial Justice Institute, which is trying to get 20 states on board. Its CEO, Cherise Fanno Burdeen, says Illinois is the second. Burdeen says one aim is to replace the cash bail system; she says risk should be based not just on the charge someone was arrested for, but also their criminal history. A new law capping the cost of prison phone calls is one way Illinois can take on criminal justice reform, according to State Rep. Carol Ammons, D-Champaign. She sponsored the measure signed Monday by Gov. Bruce Rauner, capping the charge for calls to inmates at 7 cents per minute -- less than half the current average rate. Ammons’ bill is one of five Rauner signed Monday at an adult transition center in Chicago. There, she told the story of a woman who couldn’t call her parents while they were incarcerated. Members of the Illinois House Friday voted 65 to 37 to set a floor for the number of state employees providing health care in state prisons. Representative Greg Harris -- a Chicago Democrat -- says Illinois can't afford to reduce what is already inadequate health care. "There have been numerous lawsuits and some class action cases regarding both physical and behavioral health for the Dept. of Corrections," Harris said. The state prison system is opposed. Illinois contracts with a private company – Wexford -- to provide health care to prisoners. A pair of Illinois lawmaker are trying to stop the state from suing former prisoners to to pay for their own incarceration. Right now, the state of Illinois sues about 10 former inmates a year. CASSIDY: It’s morally repugnant, it’s just, it’s wrong. State Representative Kelly Cassidy is sponsoring a new bill to prohibit the Illinois Department of Corrections from trying to get money from former inmates. CASSIDY: It’s also counterproductive. We know any barrier to re-entry is a path to recidivism. Illinois Gov. Bruce Rauner wants to reduce the state's prison population by 25 percent in the next ten years. But the state's budget impasse is putting ex-offenders at greater risk of returning to prison. Adult Redeploy Illinois saves taxpayers money by paying local governments to provide services that keep people out of prison. But one county's program has shut down, and more may follow. Latanya Hill ran the now-shuttered program in Kane County for defendants with histories of violating their probation. Gov. Bruce Rauner wants to reduce the number of inmates in Illinois' overcrowded prison system over the next decade. And it's an area where he's willing to devote money at a time when he's urging lawmakers to be prudent with spending in other places. Reforming the state's criminal justice system presents the first-term Republican governor with a rare opportunity to find agreement with legislators. Rauner's first year in office has been defined by a budget stalemate with lawmakers now in its seventh month. Illinois’ overcrowded prisons could be a big topic of debate in Springfield next year. Local advocacy groups have been raising alarms for years. Now, a Washington-based advocacy group says it’s joining the fray. Jenna Moll is with the U.S. Justice Action Network. She says there are ways to cut prison populations that actually improve public safety … at a lower cost. 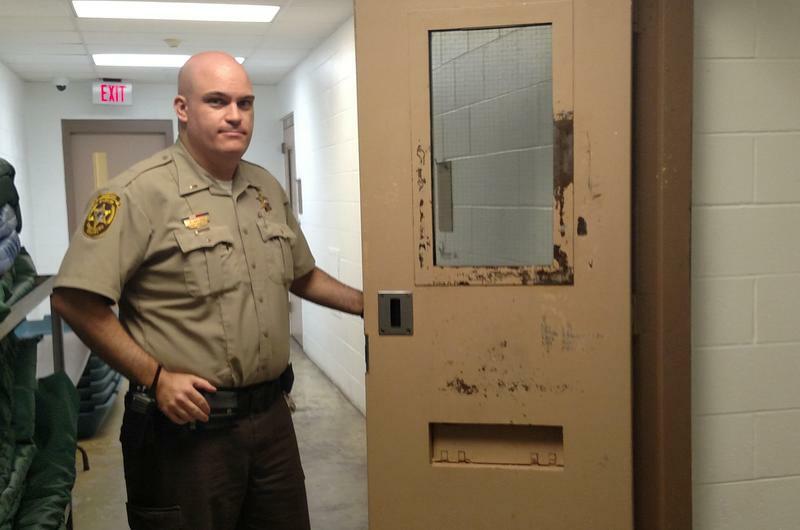 A couple weeks ago reporters got a look at conditions inside the Vienna state prison in Southern Illinois. In preparation for the scrutiny, prison administrators had been busy fixing the place up-- cleaning, painting, and repairing windows. Two Illinois prisons targeted for closure will stay open for at least another month. An arbitrator ruled today that Governor Pat Quinn and his administration violated the rights of union workers by rushing the process. The workers say they're worried about a recent spike in violent incidents at state penitentiaries. State officials downplay any possible link between the spike and the governor's plan to close prisons.